Your own attendance to the banquet is included in your registration fee. If you plan to bring one or more guest(s) to just the Thursday evening banquet & entertainment, please purchase an extra banquet ticket for each guest ($95/person). We also offer “spousal tickets” for $250/person that include all scheduled conference meals & entertainments (incl. banquet), but no sessions. 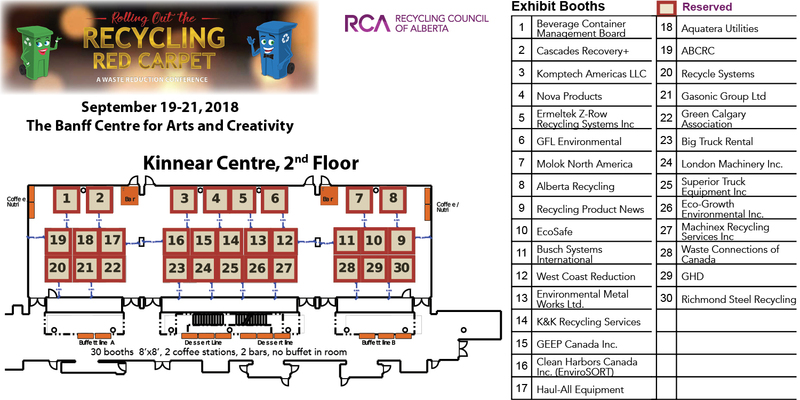 Please provide your 3 top choices for a “regular” exhibit space – view floor plan in a new tab.